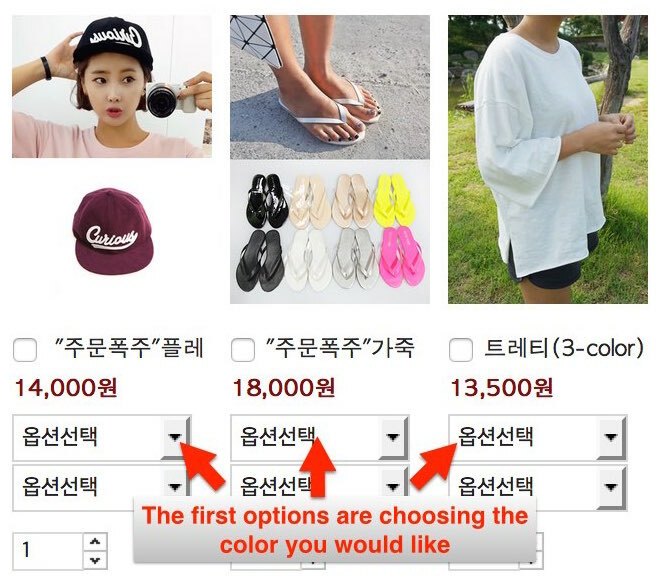 In this post: popular sites, other sites worth checking out, guide to shopping a Korean Fashion site. Korean sizes, they are usually one size smaller than what you’re used to. For example a Korean small is a western extra small, medium in Korea is small, large is medium and so on. So, tip if you live in a western country and are not a Korean body type it is smart to order 1 size larger. Also, a lot of Korean clothes are “free size,” this is one size fits all. See the clothing size charts for more help. Remember to check out the fashion glossary for all the menu/category, color and measurement translations. 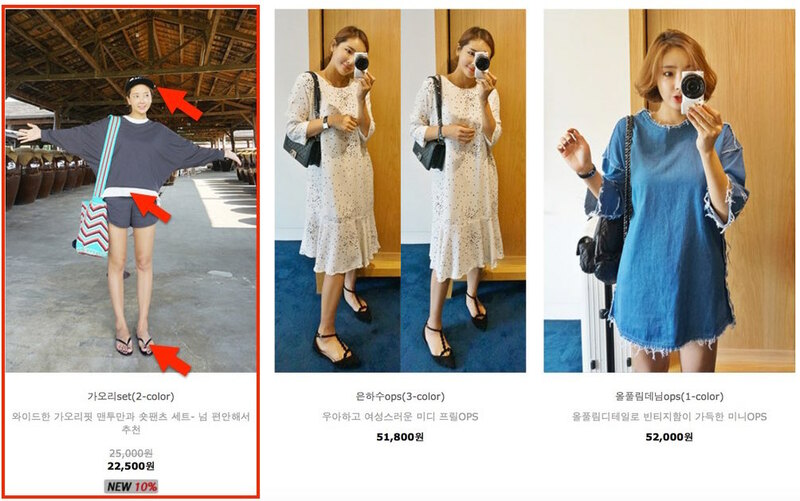 Many Korean websites have great pictures and videos of the models wearing the clothes and sometimes even list the models measurements so you can compare. 1. Naning9 – One of the hottest Korean fashion sites. Hollywood, vintage and feminine styles. Great prices and same day shipping. Lots of photos of the clothing, shows all measurements and model sizes as well. 2. Bagazimuri – Each product page shows many photos of the clothes and at the bottom they list the models measurements. At the very bottom they have user reviews and photos. 3. Eranzi – Low priced Korean fashion. Tonnes of photos of each clothing item and model measurements at the bottom of each page. The site is available in 5 different languages. 4. Zipia – This site is available in English and Chinese. Low cost Asian styles for both women and men. Most items are below $30USD. They have a cool counter on the home page that shows how many items they have for sale. Currently at around 6,500 with 215 being new items. very high minimum order when shipping abroad, and shipping is very expensive. So our service is perfect if you want to spend less than $200USD. 5. Yes Style – Available in English, Mandarin and Cantonese. This site sells everything from Asian fashion products, jewelry, shoes, cosmetics products and kids clothing. Has a minimum order size to get shipping so we can help when people want to by just a few items. 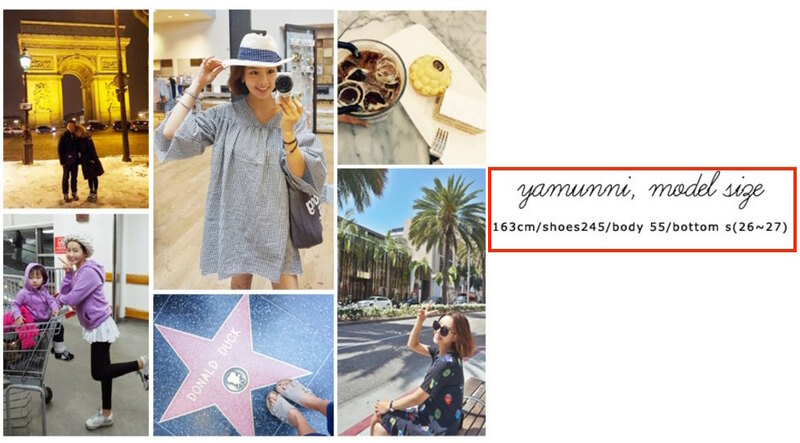 Let me show you how cool Korean fashion sites are by taking a look at one called StyleByYam. This site sells affordable Korean fashions and has popular features such as taking tonnes and tonnes of photos of the models in each piece, showing the model’s measurements, height and weight at the bottom of the page, and also having customer reviews at the bottom as well with photos of real customers wearing the clothing. So helpful! There is an English version of the site, but like many Korean sites, there is little or no difference between the Korean and English version that I can see, ha ha. When you visit Korean sites many of them have annoying pop ups that keep appearing. Click the box “오늘 하루 열지 않음” (don’t open the rest of the day) and then click “x” to close it. That will save you some time. The main menu is in English, but the sub-menus are all Korean whether you’re on the Korean or English sites. Use the fashion glossary to help you narrow your search. I’m going to click “dress” and then choose the first dress on the left. (I know it’s a shirt and shorts, but it comes up when I click dress.) Notice the hat, white shirt and sandals, they are for sale too, separately. The cool thing about this site is they also sell all of the accessories as well. You can see the shoes, hair ties, shirts etc that the model is wearing in the shots for sale as well. The first option is usually color. Again the glossary for help. 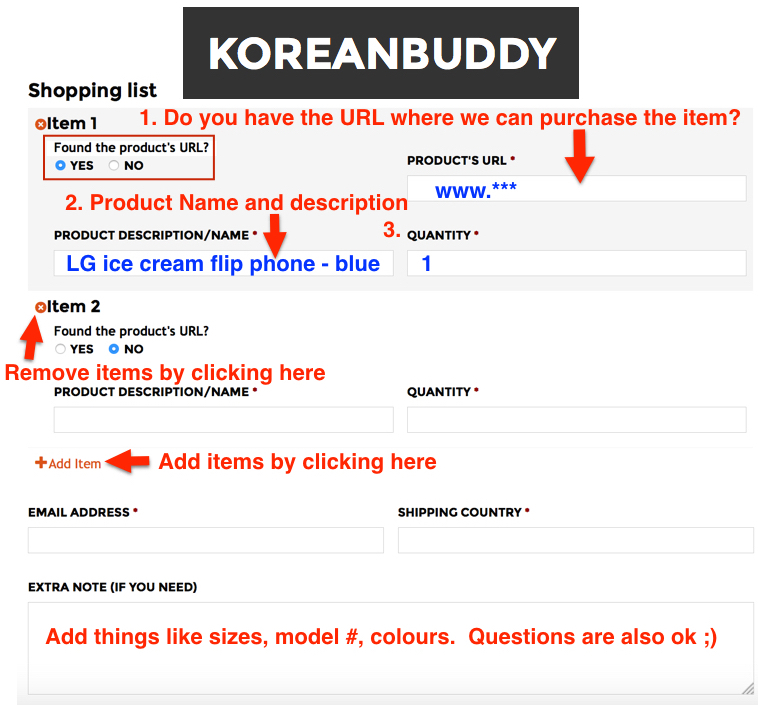 When you find the item you want 1. copy and paste the URL into the forms on Koreanbuddy.com. 2. Copy and paste the product name and 3. Let me know the options you want. If you can’t understand the options contact through the chat and I will get back to you quickly. After scrolling through all the pictures you can see the measurements of the dress. Here are all the measurements you could every need. And there are a few more in the glossary ㅋㅋㅋ. Finally, you can see the model’s measurements at the bottom along with user reviews and pictures. Some sites provide more details than others. Hope this post makes your shopping experience easier, I want to help you as much as I can buddy.